Flipkart or Flopkart? Looks like Flipkart is now the new boss of the Indian monopoly market of e-commerce websites, with exclusive products like Moto G and Xiaomi smartphone. Ever wondered how the Indian e-commerce market has changed in the last couple of years? Many changes, too many changes to remember and the most recent hot news on the web was Flipkart’s Big Billion Day, where there has been many pricing errors and when I found them out and posted them, some Flipkart fans went mad and started a fight on Facebook. Well, it doesn’t matter what you could buy, or what tragedy happened. But as a blogger, I can not help sharing a recent incident which happened to one of my friends, and this is just epic. Looks like even the Flipkart doesn’t have the idea how big India is and upto what extent they can provide service. Flipkart has some exclusive products, and in case of smartphone they are mostly Motorola and Xiaomi smartphones, but the question is “Has Flipkart been really able to help Motorola by becoming the exclusive partner and restricting its sales offline?” I guess, NO. Some of the users have faced many problems, but this is just epic. So, the story starts on 16th September, when my friend ordered a Moto G 2nd Gen smartphone from Flipkart, and Flipkart had given the estimated delivery date of 27th September, like 11 days from the date of order. He already paid the money with credit card, as there was no Cash On Delivery available. Later, he got the email and a call from Flipkart saying that due to landslide it will be delayed upto 29th September which was off course a genuine reason as there were landslides everywhere during that time. Now, on 30th September he received another mail stating that they will deliver it by Oct 4th. 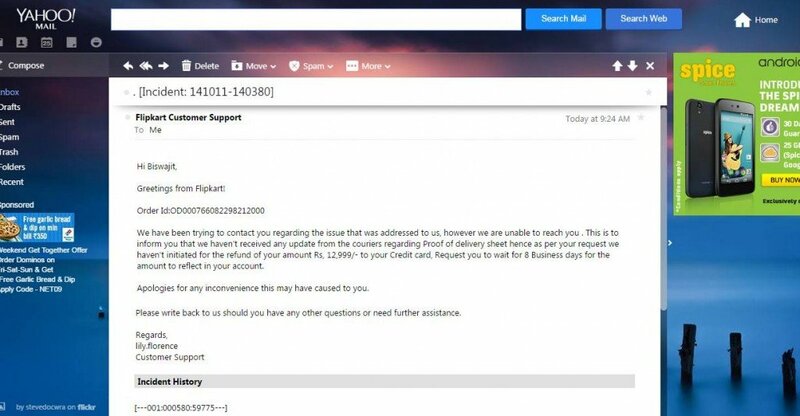 On October 3rd, one day prior to the promised date of delivery he got a phone call from Flipkart and they said that they have not received any update from courier partner and the item can not be delivered. Flipkart asked him about his opinion and gave a chance to decide whether he wants them to reship the item or he wanted to cancel the order. 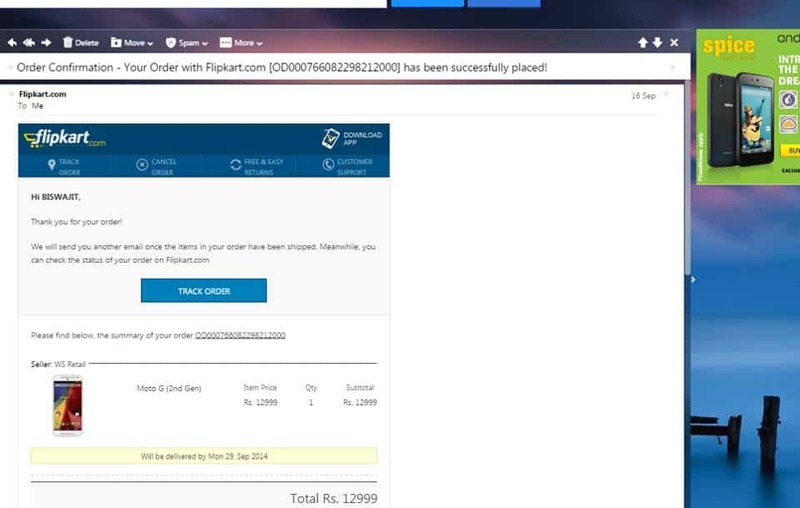 He thought that it will be good to cancel the order as Flipkart will refund the full amount, so he cancelled it. 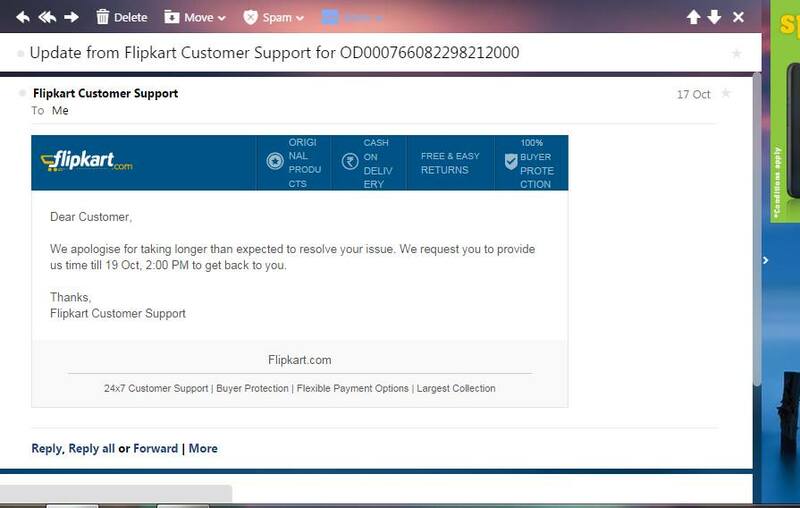 From Flipkart it was said that the amount will be refunded within 7 days. 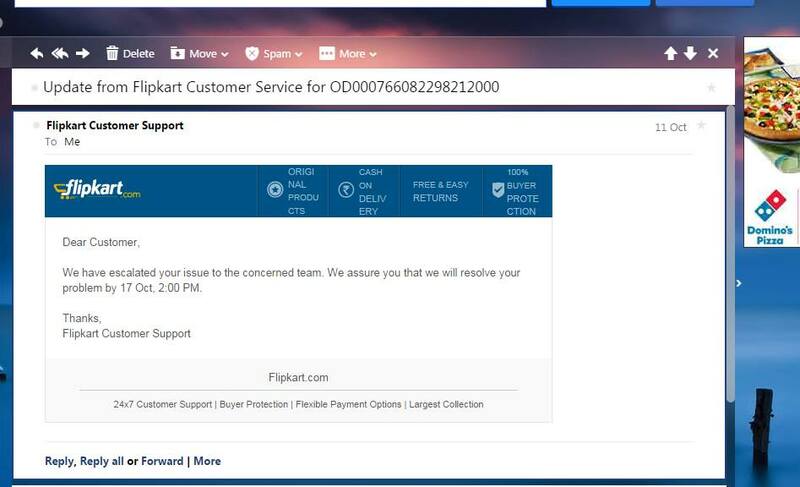 So, if I’m right the same should have been done by 10th October, but when the amount was not refunded he called Flipkart again and Flipkart sent this email saying that they will anyhow refund the amount by 17th October, 2pm. Now, 17th October passed by nothing happened. Again, Flipkart sent a mail and gave a final date of 19th October. 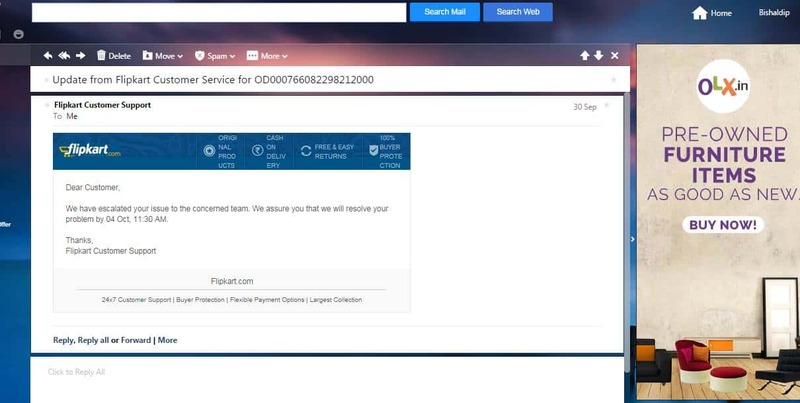 Now, he got a call from Flipkart saying that according to the website the Moto G 2nd Gen was shipped on 27th September, now this blew his mind and he mentioned that he had cancelled the order he had placed, finally today he gpot another email from Flipkart saying that they have not received any deliver sheet from the courier, which is the proof of cancellation, so they need eight days more to resolve this issue. And thus, the drama continues. 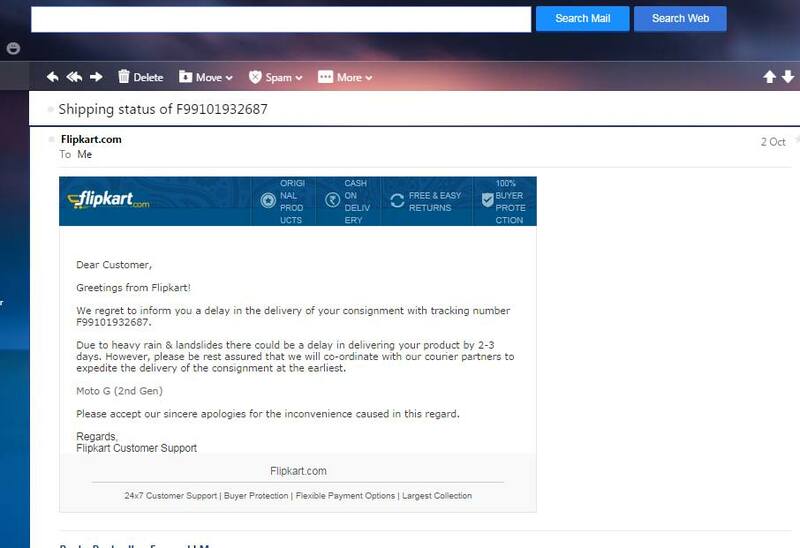 He has not received the money yet and even after one month, Flipkart is now playing games with the money.